I like the orange cream cheese frosting you used! 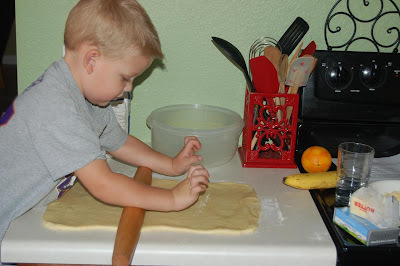 Love that pic of your son rolling the dough. I LOVE YOU. Seriously. My husband loves those orange cinnamon rolls, you know, the ones in the can? I've been meaning to adapt a recipe one of these days and you did it for me! Thank you thank you! I love this recipe! I haven't made these for a while but ow I'm going to have to try your version with the orange cream cheese! Great variation. Love the orange zest addition. Cute dough roller! 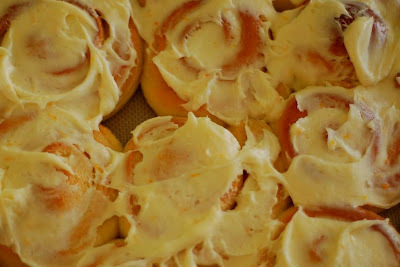 Yum to orange rolls! YUM!!! 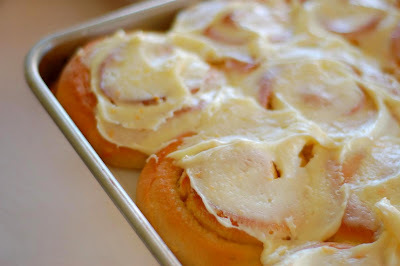 I haven't had orange rolls in forever and I keep thinking taht I so need to! !